WHAT seemed to be more of a party than a pageant saw the crowning of the new Mr and Miss Eswatini College of Technology (ECOT). 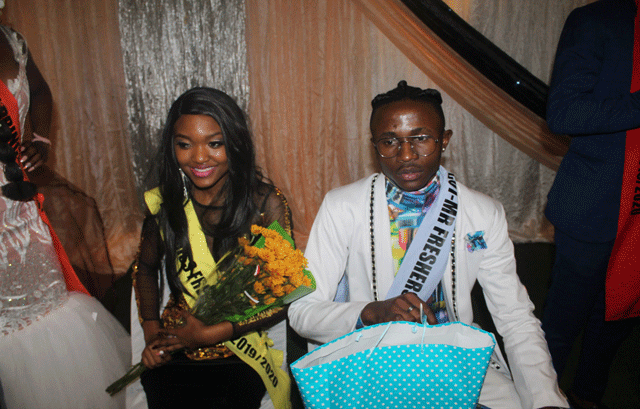 Nosisa Lukhele and Lihle Maseko reigned supreme during the ECOT 2019 Freshers Ball held at the college’s hall on Friday evening as they were crowned Mr and Miss ECOT. The event started after 9pm and the students filled the hall to the rafters. Students came in their numbers to support their favourite contestants. It was shortly after a few minutes that the students decided to turn-up. They would dance and scream every time the DJs played music during the function’s short breaks. The students were clearly in for a night of fun. With over 50 couples who graced the stage, it was not shocking to see some of the contestants dancing while waiting for the rest to introduce themselves. What was also special about the pageant was that two of the judges were not only former ECOT students but they were also reigning princes during their time at the college. The judges included Ms Bubbles, Mpendulo Dlamini and Mbutfo Simelane.